A copy of this book was provided by the publisher in return for my review. 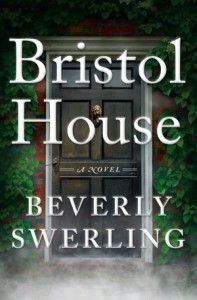 The publisher's blurb for Beverly Swerling's new novel, Bristol House talked about the blending of historical fiction with a supernatural thriller in a "dual period narrative". For that reason alone, I would have read it. Then it mentioned that the historical part was set in Tudor England, a period of history that I am particularly fond of. At that point I was hooked. Annie Kendall is a historical researcher who accepts a job to travel to London to verify the existence of a Jewish community in London during the reign of Henry VIII, a time when Jews were still forbidden to live in England. In particular, her wealthy patron is looking for information regarding a specific inhabitant of the community, know as the Jew of Holborn. It seems like perfect job to get her career back on track, but is it really? Rather than one story, there were really four separate stories being told simultaneously in this book. Each one was interesting in it's own right, but the author also did a marvelous job of seamlessly weaving them together into one cohesive main story. Although I enjoyed the modern day story of Annie and Geoff Harris, it was the stories of the Jew of Holborn, Dom Justin, and Maggie Harris, Geoff's mother, that I enjoyed the most. It was definitely the historical bent of these stories that drew me to them. I found myself wanting to further research the possibility of a forbidden Jewish colony in Tudor England, and to further investigate the existence of the Kindertransports that Maggie was a product of. I am always excited when a historical story presents new material that I can further research. In contrast, the story of Annie and Geoff was a more contemporary romance sort of story, and, while well done, took second place in my mind. The use of the historical characters to actually tell their own stories and present the historical perspective of the book was a brilliant move on the author's part. Giving the historical characters their own voice allowed me to connect with them in a more intimate way. This connection lent more realism to these stories, in my opinion. 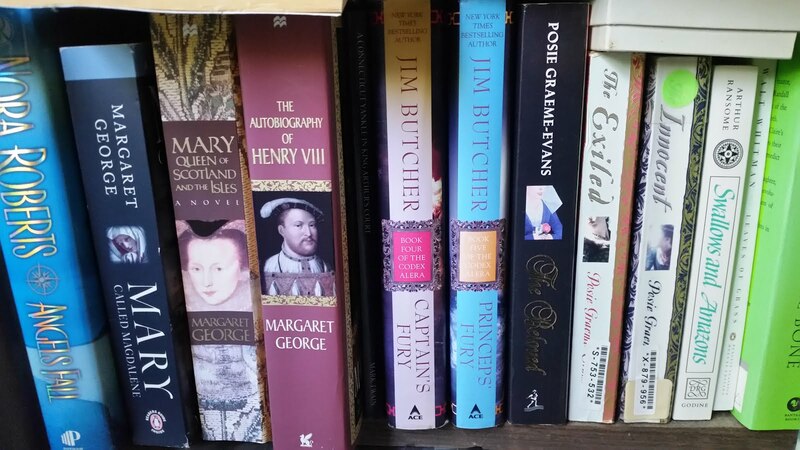 I really enjoyed hearing about the Tudor times from Dom Justin and The Jew of Holborn, much more than having someone else talk about them, and wish that more of Maggie's story was included in the book. Dom Justin, in particular, was an interesting character, although as a ghost, he was neither scary nor "haunting" as the publisher's blurb stated. In fact, this is the only place in the book that fell short in my opinion. I understood and enjoyed the author's use of the ghost as a story telling device, but I did not feel that the supernatural part of the story would have worked on it's own. I thoroughly enjoyed this book. Since it was the first book that I have read by this author, I researched her other work and was excited to see that she has written a series of books about New York that begins in the Pilgrim times and follows it's development through the years. I will definitely be adding ths series of books to my reading list. I hope she does as good of a job with them as she has with Bristol House. I would recoommend this book to anyone who enjoys a good mystery story with a historical backdrop. I am giving it 4 stars. I am getting ready to start this book and SO excited!